The bench observed this after Nadkarni, representing the Centre, referred to an affidavit filed by the government in which it said that Rs 91,000 crore was collected under various funds created on the apex court’s orders for protection of the environment. 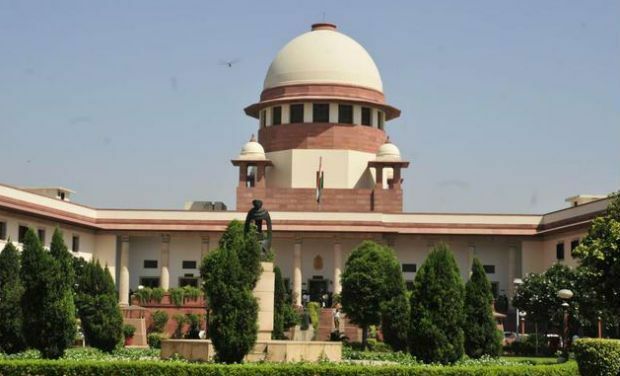 New Delhi: The Supreme Court on Friday pulled up the Centre for “sitting” over funds of a whopping Rs 77,000 crore meant for protection of the environment and asked it to inform “for the sake of the country” as to where this money would be spent. It also raked up the issue of the situation of rivers Ganga and Yamuna and said that schemes were not implemented properly by the authorities. “We are talking about Rs 91,000 crore. It appears that only Rs 14,000 crore has been spent. We have no idea where these Rs 14,000 crore has gone. Maybe, the fund was used for good purposes but now Rs 77,000 crore is left. You are sitting on it,” the bench told the Centre. “It is meant for the sake of environment of the country and for benefit of the people. What are you doing on it? Why this is not being utilised,” the bench asked. The bench observed this after Additional Solicitor General A N S Nadkarni, representing the Centre, referred to an affidavit filed by the government in which it said that Rs 91,000 crore was collected under various funds created on the apex court’s orders for protection of the environment. “What about the people of this country? They also have the rights. States like Karnataka and Odisha have got a huge amount of money (from these funds),” the bench said. “Tell us for the sake of the country as to how you are going to spend this money for the betterment of the country,” the bench said. “There is no point is saying that you have issued circulars. Are these circulars being implemented properly,” the apex court said. Nadkarni told the court that audits were being done by the Comptroller and Auditor General of India (CAG) and states also have their accountant generals for an audit of funds. However, the bench referred to a separate matter related to funds meant for the welfare of building and construction workers across the country and said that as per CAG’s report filed in the court, the money was used for the purchase of laptops and washing machines. “These persons (construction labours) are illiterate and do not even have proper clothes to wear and the government says that we have purchased laptops and washing machines for them. Is it some kind of joke,” the bench asked. It said that the Centre has a responsibility to ensure that states spent these funds in a proper manner. “We want to make it clear that this Rs 91,000 crore funds cannot be treated as revenue of the Union of India or the states,” it said and asked the Centre to write to the states on this issue. “We expect that chief secretaries of the states will respond immediately to the communication of the Union of India within a week or a maximum of 10 days,” it said.